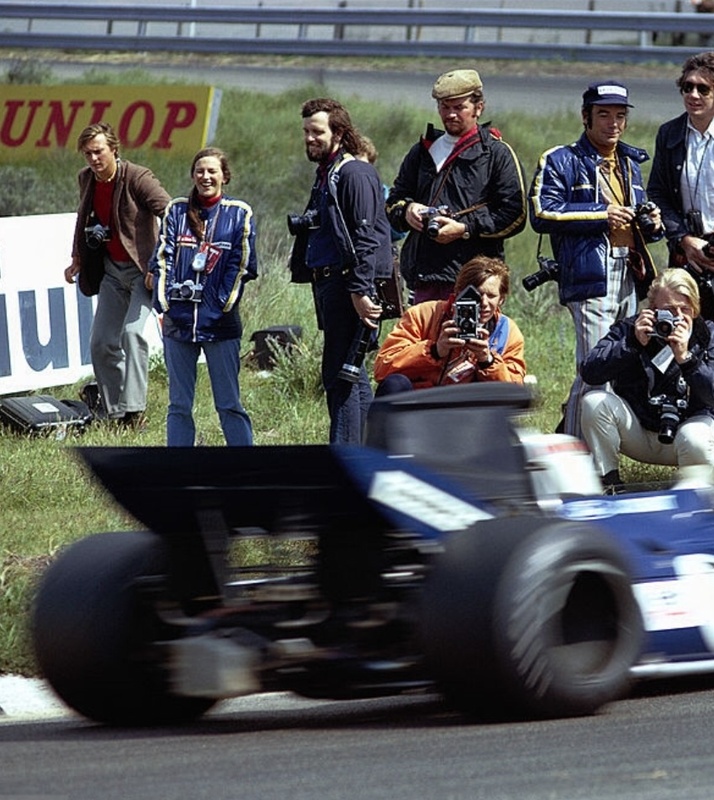 Rainer Schlegelmilch’s shot seems to be a portrait of his colleagues, Diana Burnett is the lady, the distinctive figure of Bernard Cahier is the chap in the blue cap and Goodyear jacket. 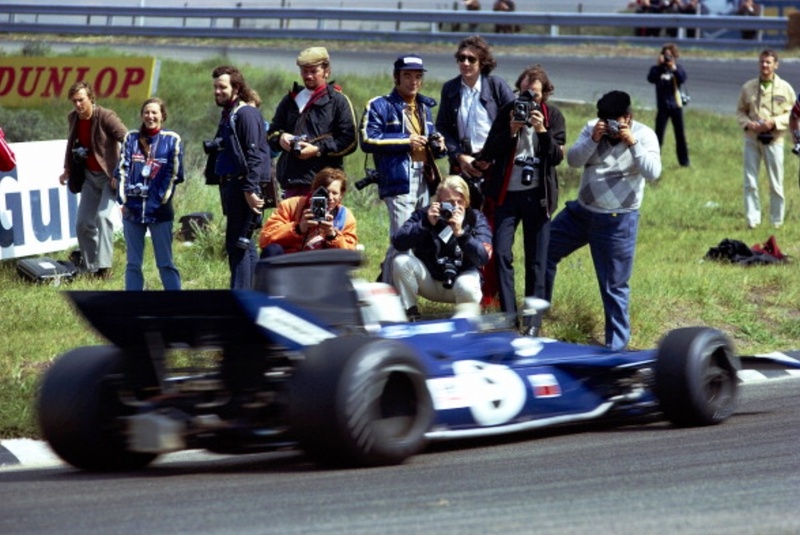 It’s dry which makes it practice, the wet race was won by Ickx’ Ferrari with JYS 4th in Tyrrell 003 Ford. 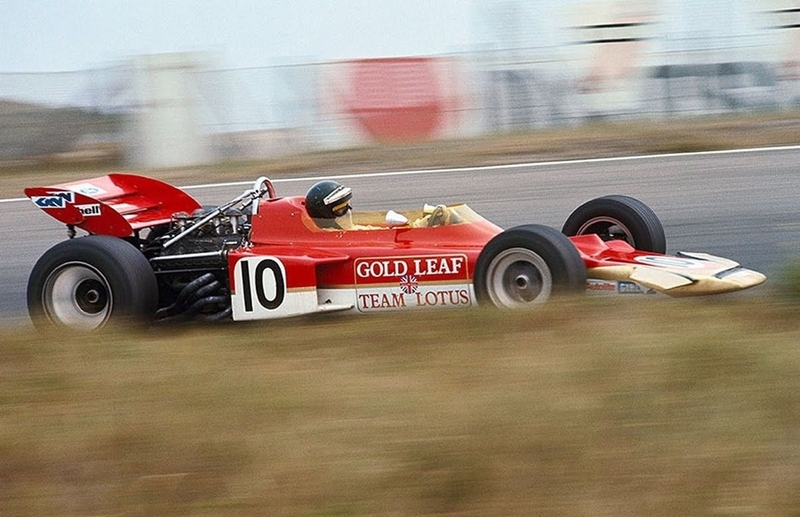 I was first smitten by single-seaters upon spotting Jochen Rindt’s sensational ‘Gold Leaf’ Lotus 72 in the Automobile Year 18 ‘centrefold’ below. The book came from the Camberwell Grammar School library, I was an inmate for 6 years and borrowed these annuals, they bought the latest each year, hundreds of times over the years. If truth be known I surgically removed many of the full page color shots from the books which somehow found their way onto my bedroom wall, I was skilful with a razor blade long before I could shave! 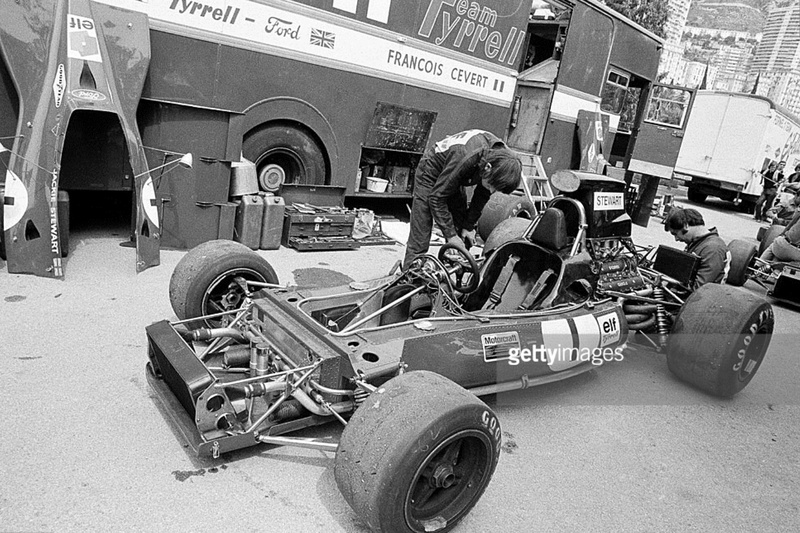 So, I was a devotee of Colin Chapman’s Lotus 56/72 side radiator, chisel nose aero approach rather than Derek Gardner’s chunky ‘sportscar nose’ alternative he pioneered in F1 with Tyrrell in ’71. 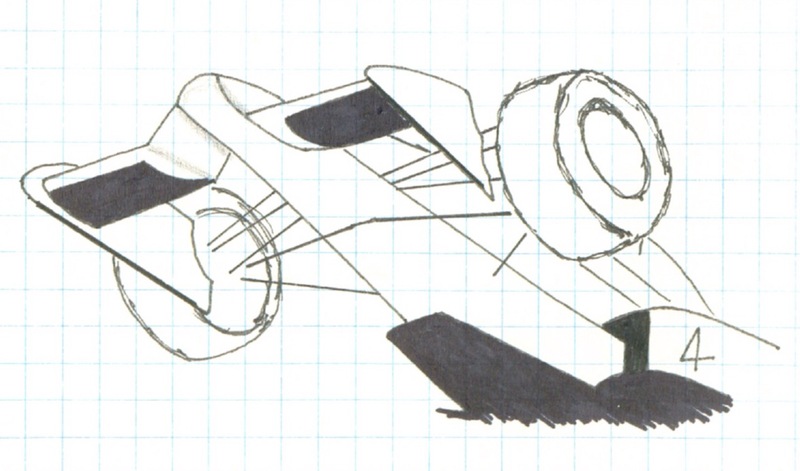 That the alternative approaches worked equally well was proved by the results of practitioners of the ‘two schools’ of aerodynamic thought throughout the ‘70’s, visually though it was ‘no contest’! 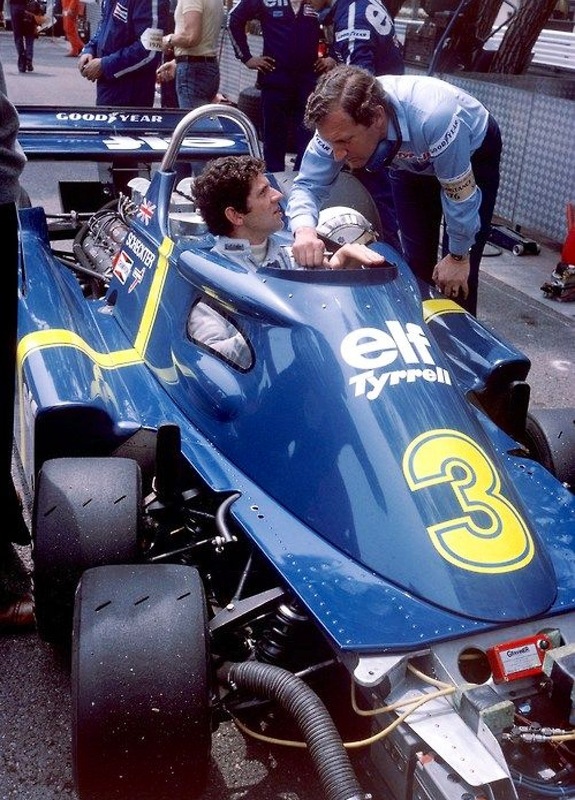 Gardner’s Tyrrell period was relatively short but wonderfully sweet, although 7 years is a pretty long stint with one team I guess. 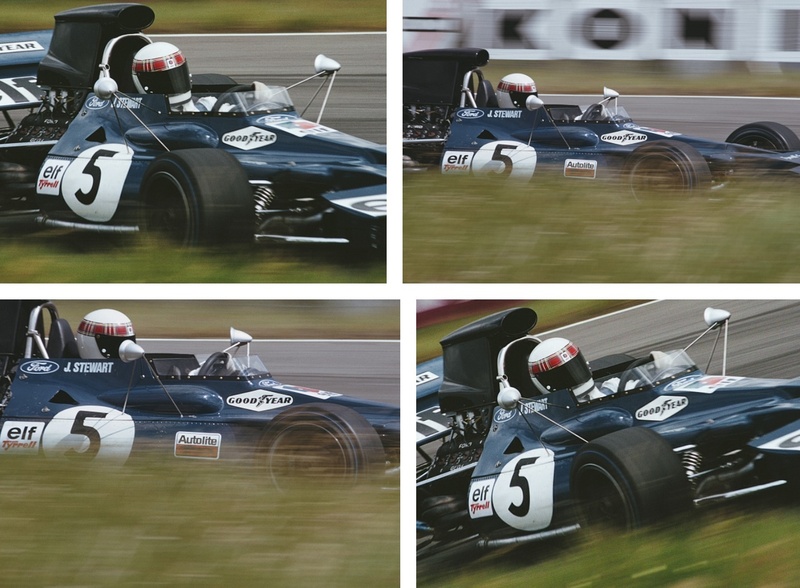 His first series of cars was the 1970-72 ‘001-004’, the second series the 1972-3 ‘005-6’. 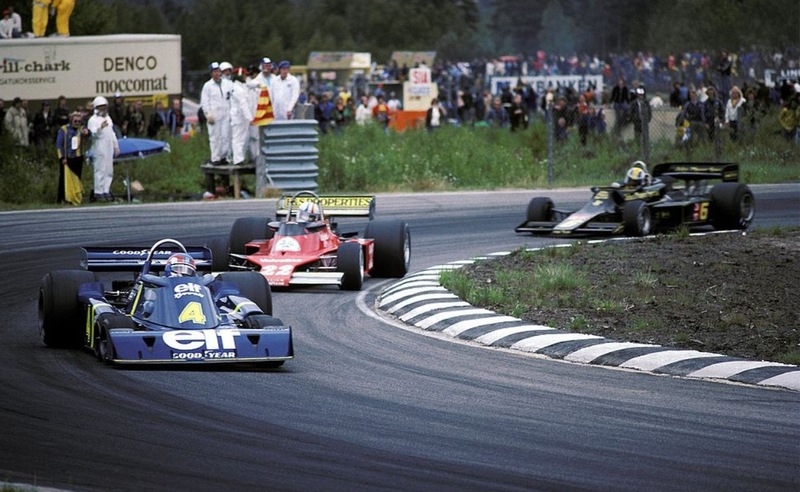 Both design series won Grands’ Prix and World Titles. 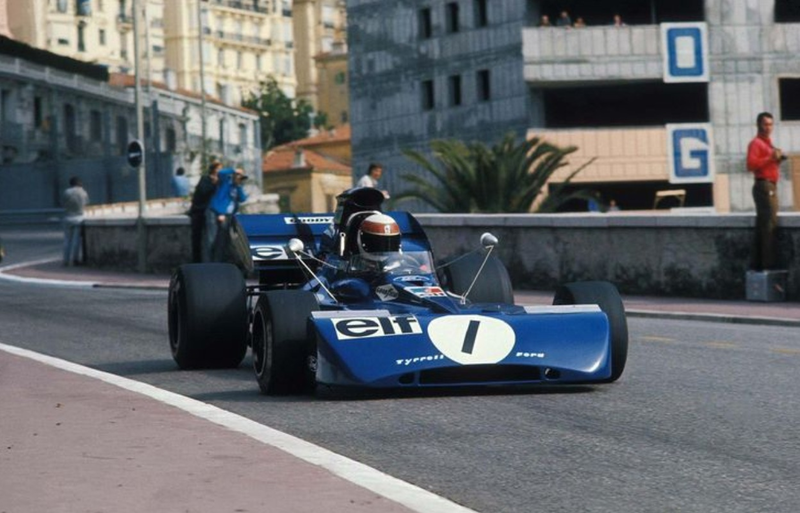 His ’74-5 ‘007’ and ’76-7 ‘P34’ six-wheeler won Grands Prix only, no titles. 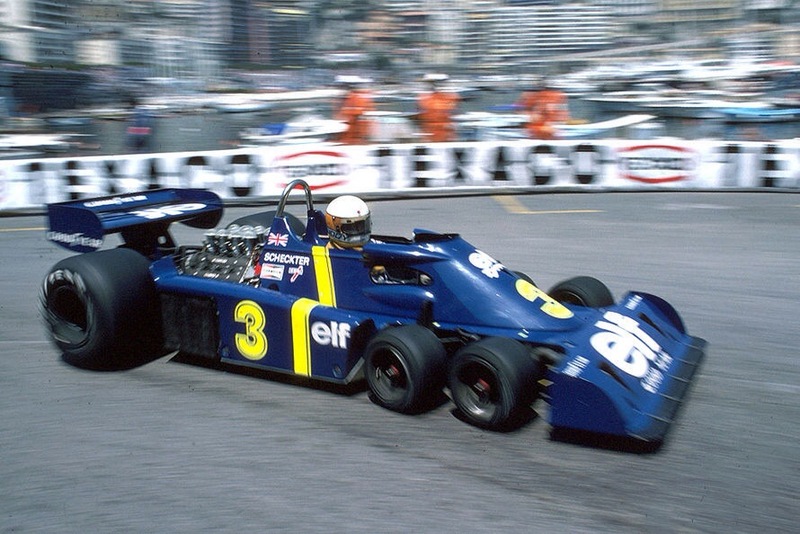 I doubt there are too many of the F1 design greats who can claim such a record. 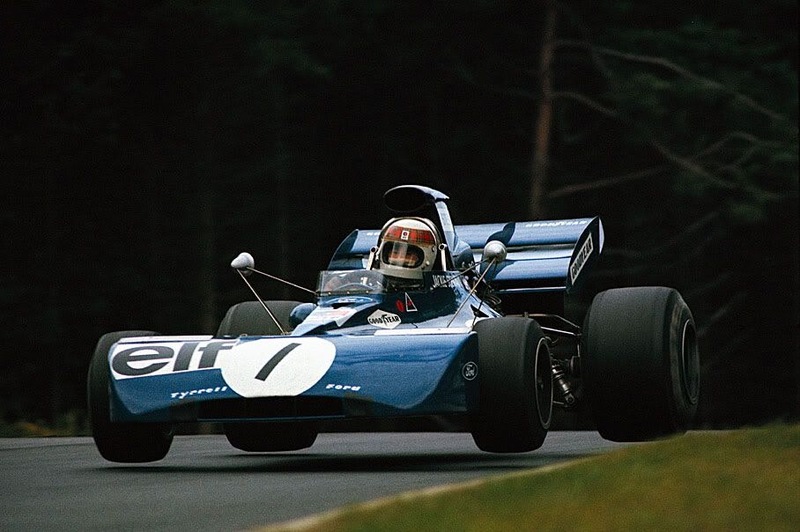 The car pictured above is Jackie Stewart’s ‘004’, the last of Gardner’s first series of designs. 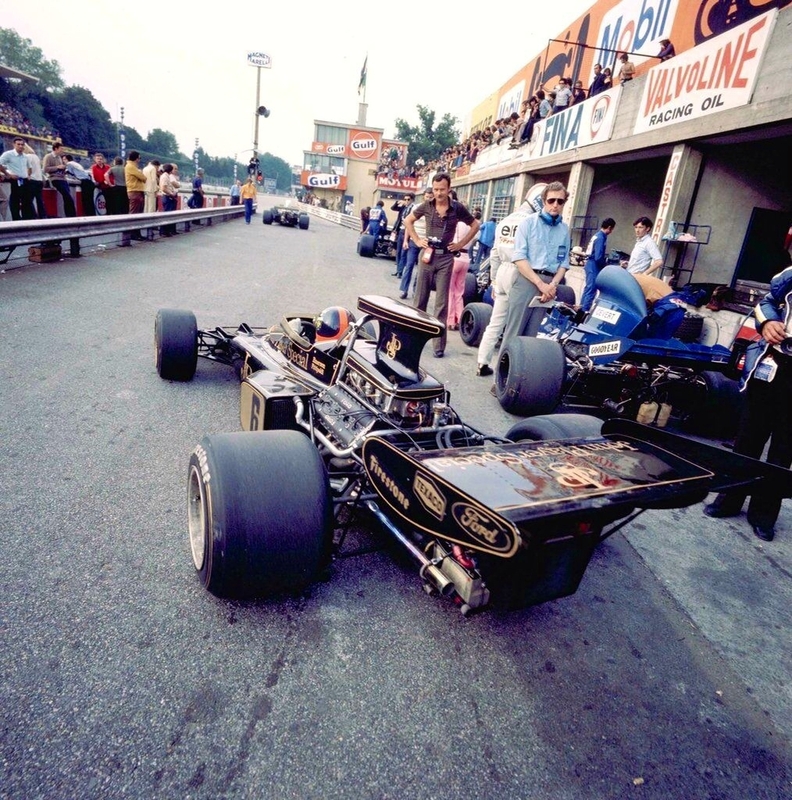 It’s being prepared for the 1972 Monaco Grand Prix, ‘004’s race debut, the GP classic won by Jean-Pierre Beltoise’ BRM P160B, famously his first and last GP win was also BRM’s last. JPB’s delicacy in the wet was aided by some schmick Firestone wets but it was a great drive by any measure. 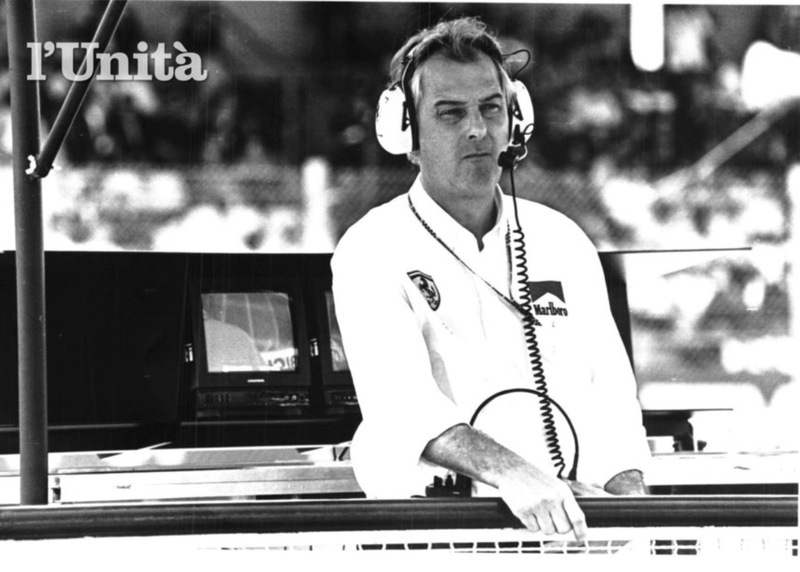 Jackie was 4th in ‘004’, he was not feeling 100% shortly thereafter was diagnosed with a stomach ulcer. 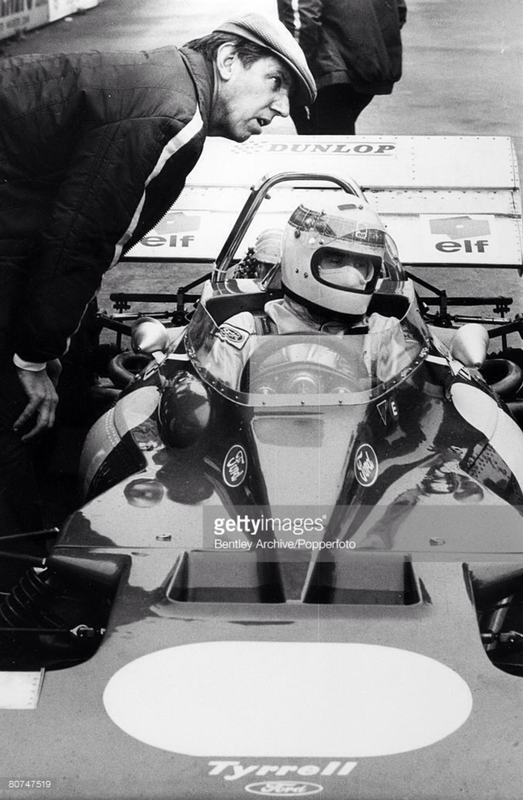 Francois Cevert non-classified further back in ‘002’. 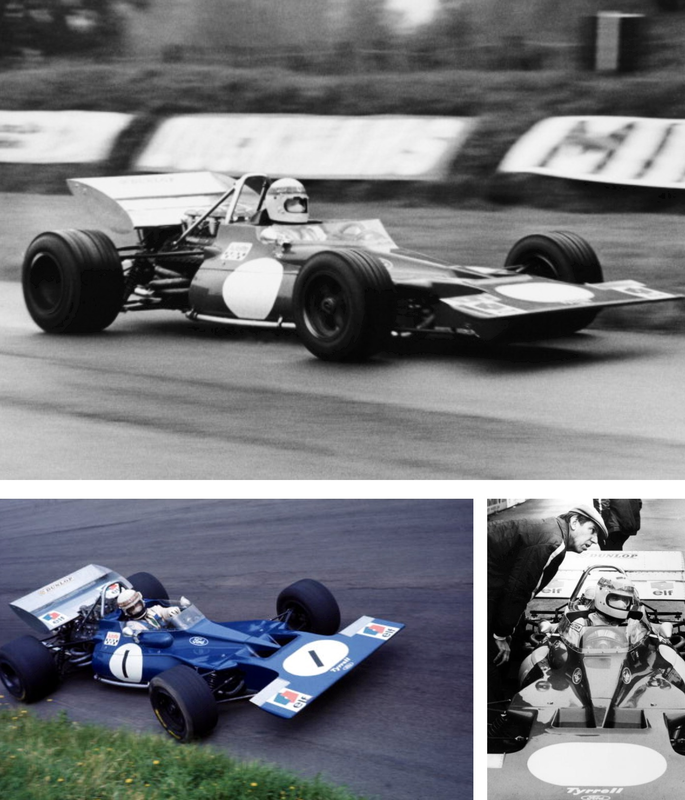 The first Tyrrell, ‘001’ made its race debut in Stewart’s hands at Oulton Park in the ‘International Gold Cup’ on 22 August 1970, the car famously designed and to an extent constructed in secret in Gardner’s home garage in Parklands Avenue, Leamington! 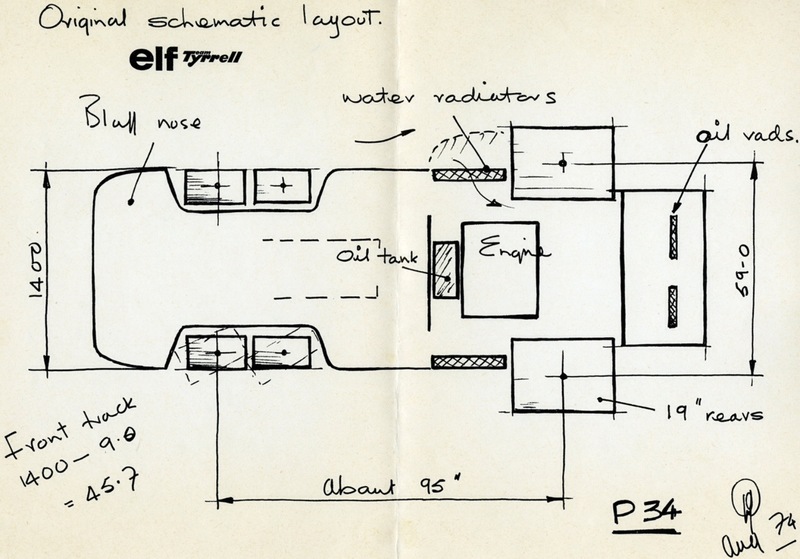 The ‘bath tub’ monocoque chassis was built to his design by Maurice Gomm’s Gomm Metal Developments, later chassis were built at Tyrrell’s famous woodyard, the base of his timber business in Ockham, Surrey. 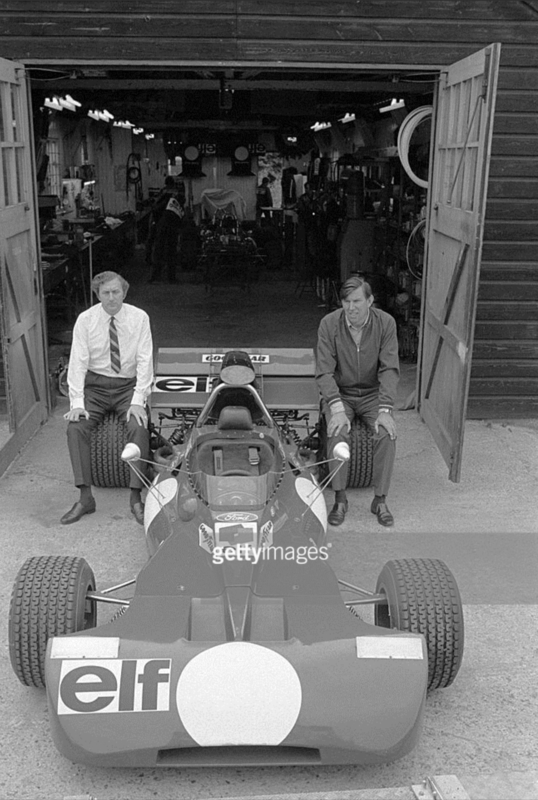 Other notable sub-contractors were Jack Knight Engineering who did much of the machining, Aeroplane and Motor who provided the centre lock magnesium alloy wheels, Laystall the stub axles, not to forget Cosworth Engineering, Hewland’s and others. 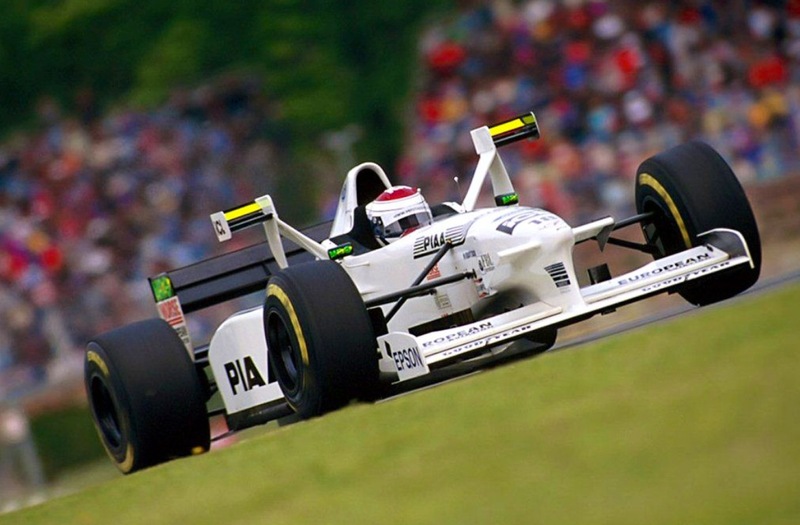 ‘001’s championship debut was at Mont Tremblant, the Canadian GP on 20 September where Jackie plonked it on pole and was leading strongly before a stub axle broke on lap 32. 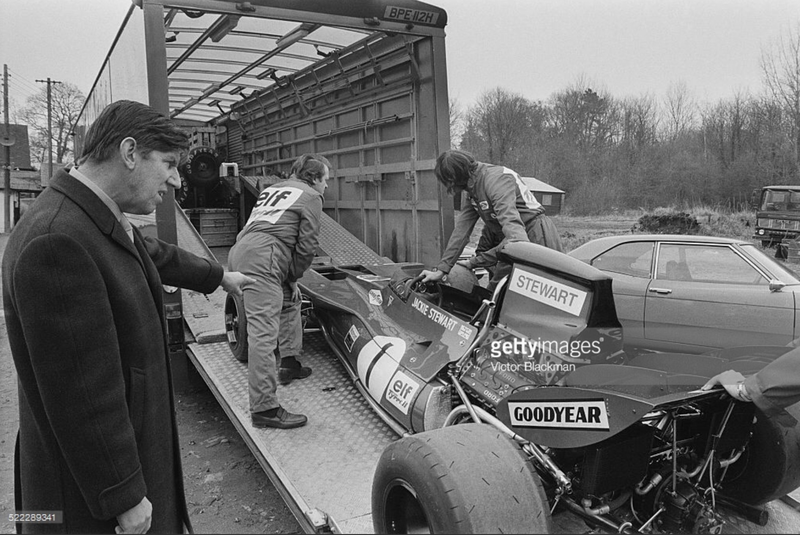 The car was ‘match fit’ at the start of its dominant 1971 season having done vast amounts of Goodyear testing, Dunlop, Tyrrell’s hitherto tyre supplier having withdrawn from F1. 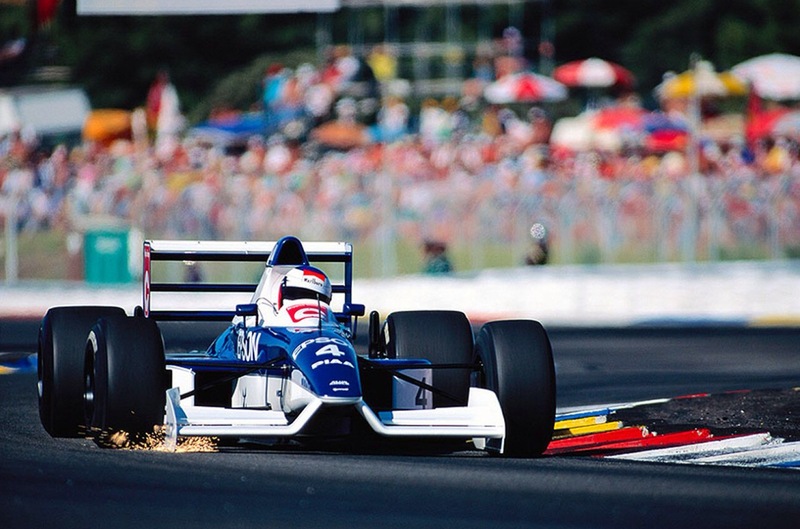 Over the South African summer at Kyalami over 400 tyres were tested by the team. 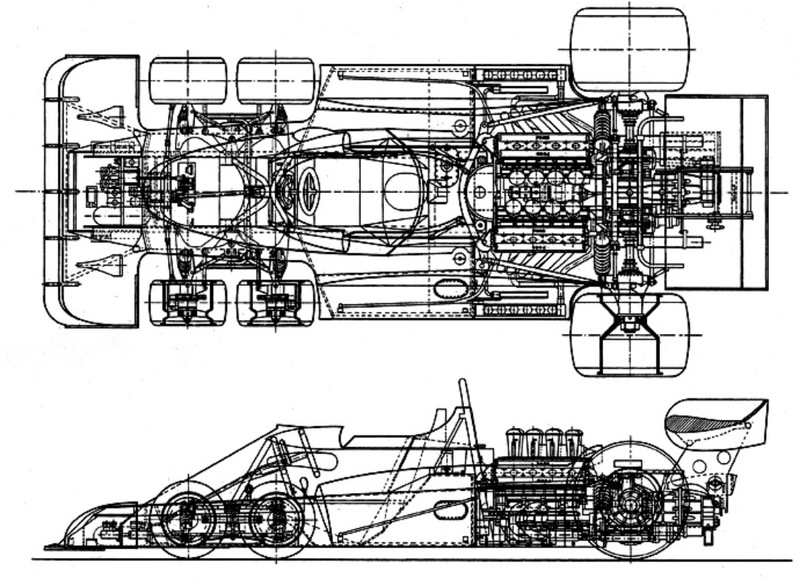 Powered by the good ‘ole 3 litre Ford Cosworth DFV V8 and using the equally ubiquitous Hewland FG400 5 speed transaxle, the bolides were ‘kit cars’ of the period derided by Enzo Ferrari but remarkably quick bits of kit! 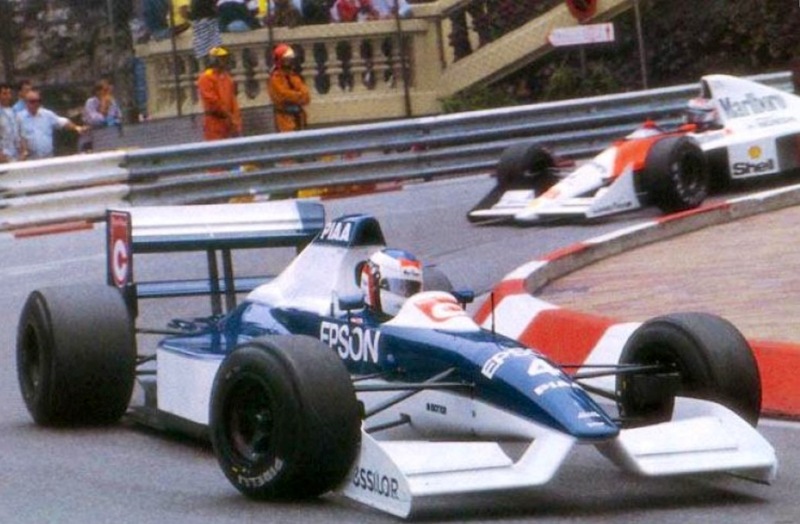 Look back to the photo of ‘004’ chassis at Monaco above. 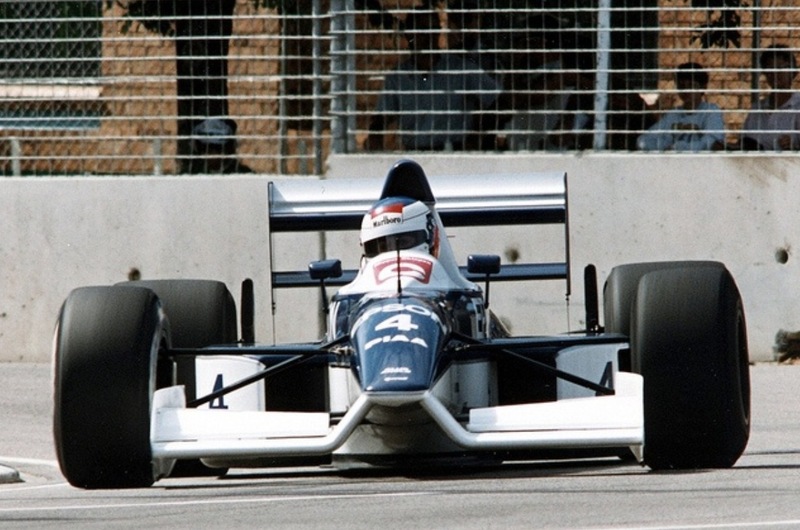 The monocoque was made of 16 guage NS4 aluminium alloy and like ‘002’ and ‘003’ was 4 inches longer in the length of the tub and 1 1/2 inches longer in the wheelbase than the prototype ‘001’. 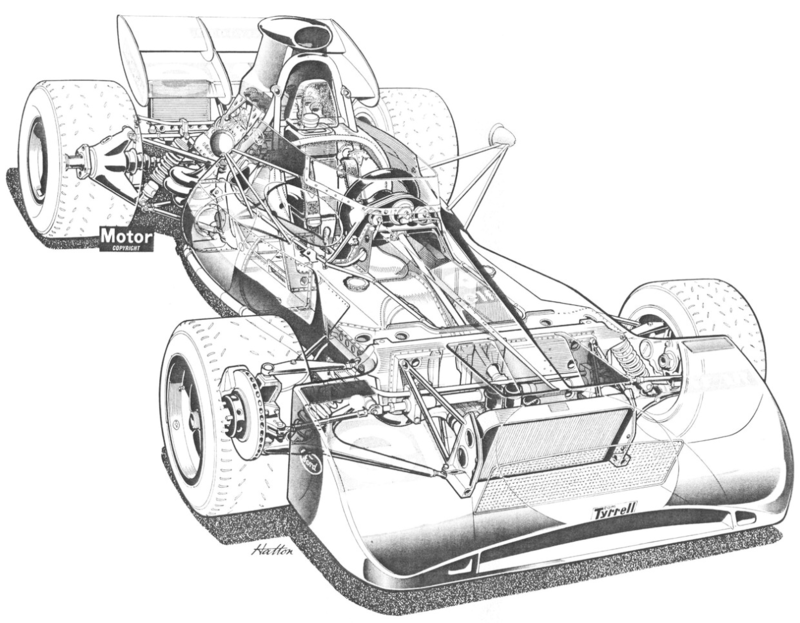 You can see the wide based lower one piece wishbone is mounted both to the tub and at its outer end the tubular suspension carrying frame which was first made up on a jig and then slipped over the top of the monocoque to which it was externally riveted. The upper suspension arm is a top link and locating link mounted to a bracket on the tub. Shocks are alloy bodied, double adjustable Koni’s again period typical. 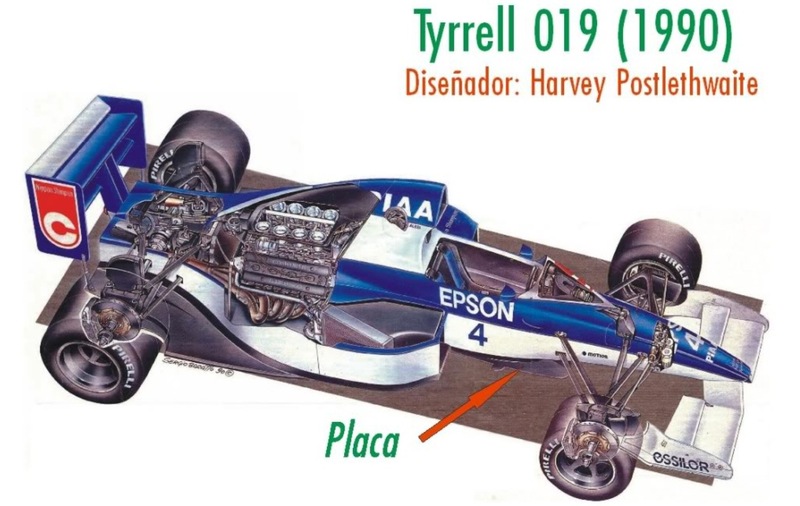 The simple steering column is clear, the rack made by Tyrrells. 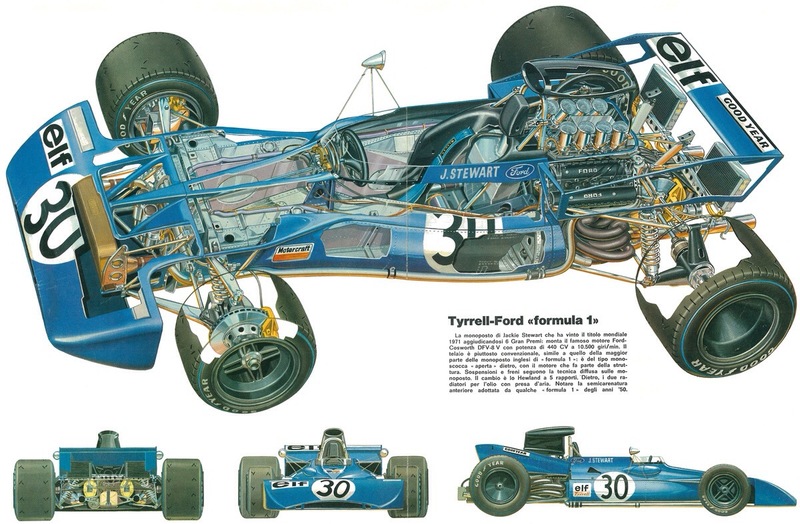 The vastly strong 360 degree roll bar encircled the the rear bulkhead and was both spigoted and bolted through into the monocoque. 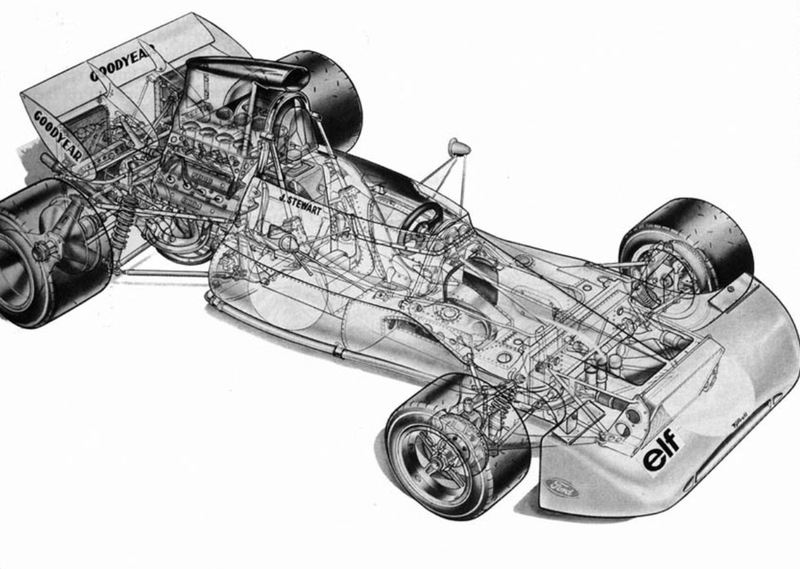 The DFV, stressed of course, was then bolted through this hoop. The forward radius rod pickups you can just see attached to the bar structure. 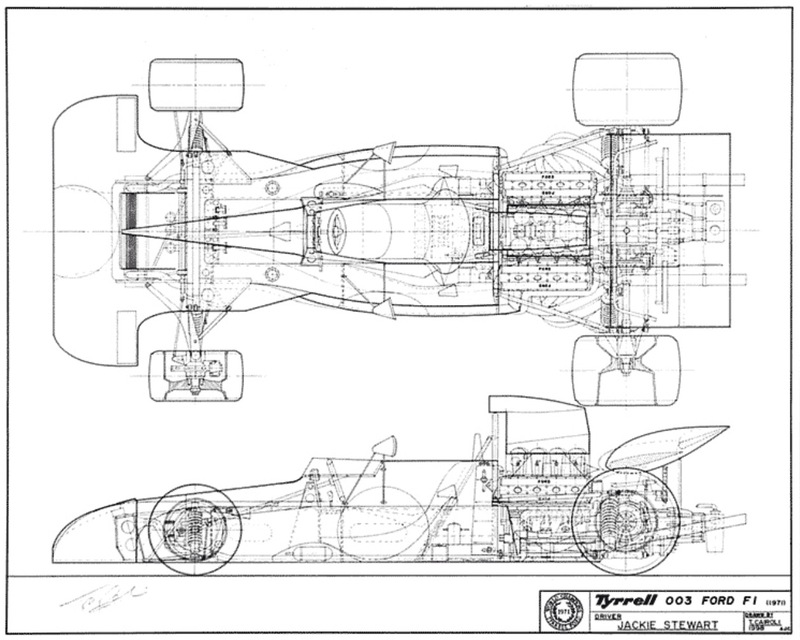 The rear was also a close to perfect expression of period paradigm; single top link, twin parallel lower links to better control toe than the inverted lower wishbone used for the decade before, two radius rods for fore and aft location and again coil spring/Koni dampers. 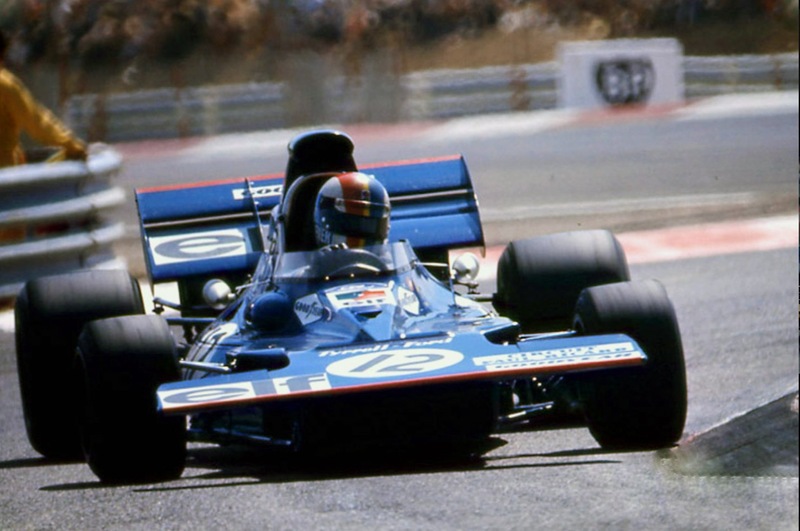 Brakes are Girling calipers, ventilated rotors front and solid rears of 10 1/2 inch diameter Goodyear tyres were used from the start of 1971.